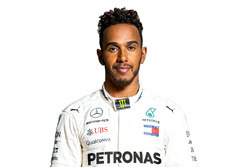 Lewis Hamilton began his bid to secure a fifth Formula 1 title in perfect fashion by dominating a wet opening practice session for the United States Grand Prix. 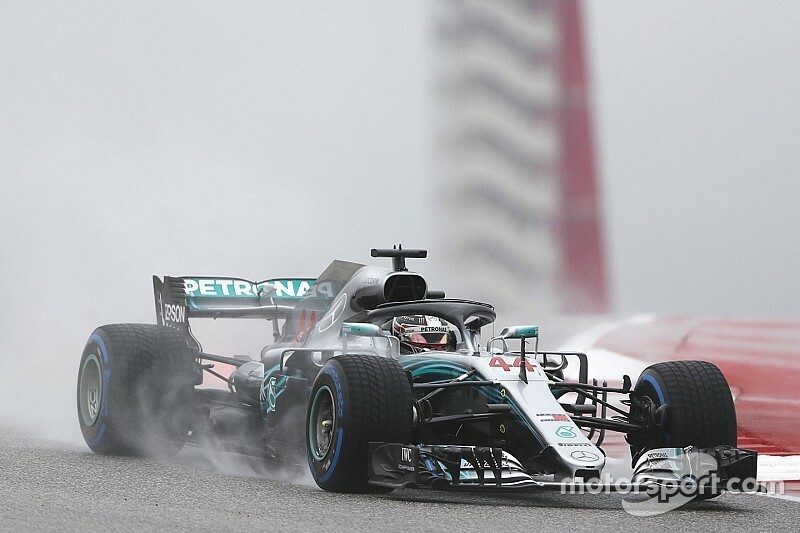 Hamilton outpaced Valtteri Bottas by 1.3s to comfortably lead a Mercedes one-two at a rainy Circuit of the Americas in Austin. 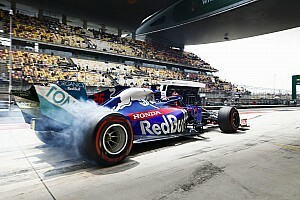 Red Bull duo Max Verstappen and Daniel Ricciardo proved Mercedes' nearest challengers as the Ferraris appeared to concentrate on longer runs and Hamilton's title rival Sebastian Vettel wound up fifth and almost two seconds off the pace. Most of the field completed installation laps in the first 10 minutes when the track was at its wettest after heavy morning rain, with Nico Hulkenberg the first to switch to intermediate tyres 17 minutes into the session. It took a little longer for somebody to set a laptime but the Red Bulls ended the wait with Ricciardo leading Verstappen on a 1m50.642s. 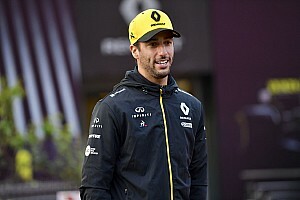 Ricciardo lowered that to a 1m49.386s shortly after, before Bottas moved into top spot at the half-hour mark by setting a 1m48.806s in his Mercedes. Several drivers got on the leaderboard before the midway point of the 90-minute session, but there was a break in track at this point to clear gravel at Turn 9. Charles Leclerc had spun his Sauber at the end of the fast esses sequence at the start of the lap, and had to drive through the gravel to rejoin. He deposited a lot of stones onto the track just as it crests and falls away through the Turn 10 kink down to the tight left-hander. That prompted a 10-minute stoppage while marshals cleaned the track. 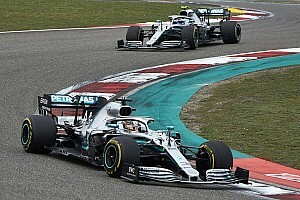 Hamilton blitzed Bottas's benchmark with just over a third of the session remaining, and his immediate challengers failed to improve before the end. 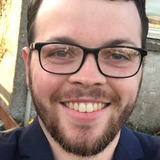 Vettel never troubled the top of the times as he and teammate Kimi Raikkonen conducted longer runs than their rivals, ending with 17 and 19 laps respectively – neither Mercedes or Red Bull got into double figures. However, Vettel was able to get ahead of Raikkonen into fifth and eventually outpaced the Finn by half a second. 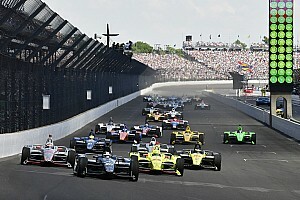 Carlos Sainz emerged as best of the rest for Renault in seventh, while Haas driver Romain Grosjean finished eighth ahead of the Saubers of Leclerc, who made a late improvement, and Marcus Ericsson. 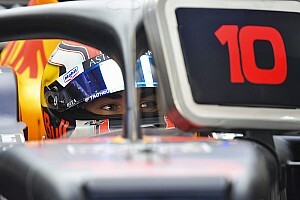 Two drivers were driving in FP1 in place of regulars, with Lando Norris driving Stoffel Vandoorne's McLaren and Sean Gelael substituting at Toro Rosso in place of Brendon Hartley. Norris finished the session 12th, one place and two tenths behind teammate Fernando Alonso, while Gelael was slowest of the 20 runners and 1.4s off the pace of Pierre Gasly in the sister car.